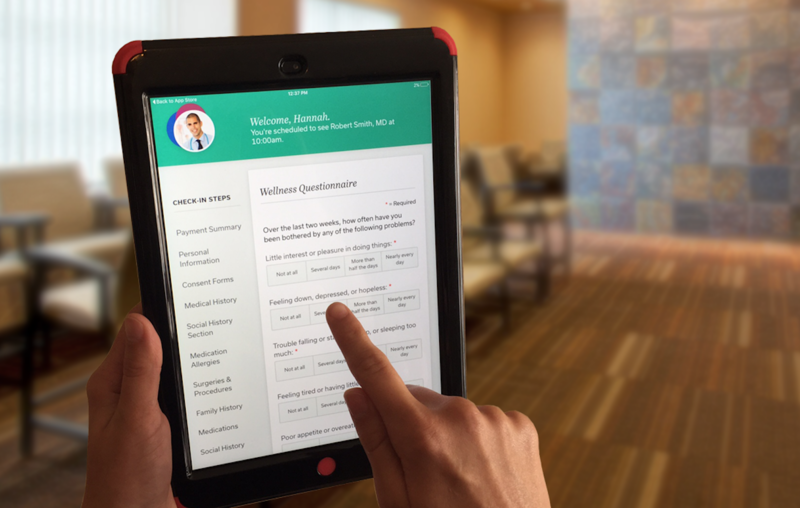 HOBOKEN, N.J., Aug. 10, 2017 /PRNewswire/ -- CHRISTUS Health System, one of the nation's largest Catholic healthcare providers, announced on August 10th, the initial results of the system-wide transition from manual patient intake to Epion Health's integrated digital check-in platform, using iPads to check patients into their appointments. The move represents a significant step for CHRISTUS, impacting all of its clinic locations across Texas, Arkansas and Louisiana. The Epion Check-in™ solution provides bi-directional integration with athenahealth, CHRISTUS Health's electronic health record (EHR) provider, 100% data security and a robust rules engine. EHR integration empowers patients to review and edit existing personal health information already in the system, while adding information to the record appropriate for their scheduled appointment, saving significant time at check-in. 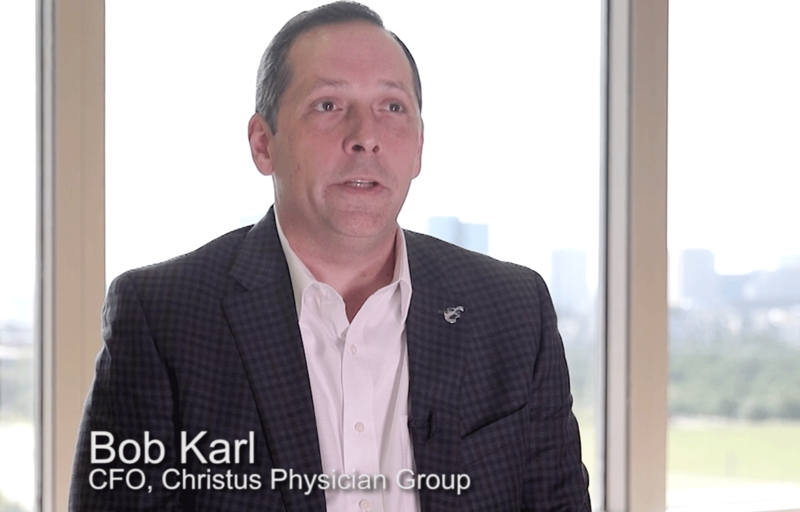 "We were eager to transform the patient experience and outcomes with Epion's leading-edge technology," said Bob Karl, CFO of CHRISTUS Physician Group. "As a not-for-profit, we had to make certain we would reduce costs as well. Epion Health's platform proved itself in a matter of weeks." An increase of nearly 3.5% in collections per encounter. "That alone is a five-time return on investment," adds Karl. Collections of outstanding balances and copays at the time of service have almost doubled since deploying the Epion solution, addressing one of CHRISTUS' top organizational priorities for 2017. CHRISTUS selected Epion after conducting head-to-head pilots. According to Karl, "After extensive review, Epion's superior product, outstanding client support and extensive knowledge of the clinical workflow made them the clear choice." Epion Health has over 250 clients, ranging from single-provider practices to large enterprise organizations, and boasts a 97% client retention rate since launching their check-in product over 3 years ago. "We have the best team in the business and we are hyper-focused on client satisfaction and delivering a crystal clear ROI," said Joe Blewitt, CEO at Epion Health. "We developed the Epion Check-in platform to replace legacy check-in systems, while delivering immediate and sustainable operational benefits." "As an organization, maintaining uninterrupted service to our patients was a significant concern of ours when considering the move to digital check-in," said Laurie Lindsey, Director, Training & System Support at CHRISTUS, who headed up the implementation of Epion. "Epion trained our implementation team which assisted in the rapid deployment of the digital platform across all of our practices. They met every deadline." Based on the built-in patient satisfaction questionnaire, 92% of CHRISTUS patients report to be either satisfied or very satisfied with their experience using the Epion platform. "At CHRISTUS," said Karl, "we seek partners that understand the complexities of our business and support our organizational core values; Epion has clearly demonstrated both. For us, the move to Epion has been transformational." CHRISTUS Health, an international Catholic, faith-based, not-for-profit health system, is headquartered in Dallas and is comprised of more than 600 services and facilities, including more than 60 hospitals and long-term care facilities, 175 clinics and outpatient centers and dozens of other health ministries and ventures. CHRISTUS services can be found in more than 60 cities in the U.S., Mexico, Chile and Colombia. The system employs more than 40,000 Associates and more than 15,000 physicians on facility medical staffs who provide care and support for patients. CHRISTUS Health is listed among the 10 largest Catholic health systems in the U.S. In 2017, CHRISTUS Health earned its third consecutive Most Wired Hospitals designation from the American Hospital Association's (AHA) Health Forum.